Cast your minds back to 2012. 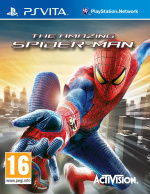 You may remember seeing The Amazing Spider-Man reboot at the movies, and you may even recall playing Beenox’s anticipated PlayStation 3 tie-in on your beloved console – but you probably won’t remember booting it up on your PlayStation Vita. That’s because someone at publisher Activision forgot about the portable version, only recognising their mistake a whopping 16 months later. So, with the theatrical release of The Amazing Spider-Man 2 on the horizon, should this devilishly overdue port set your superhero senses tingling? The game actually picks up several months after the events of the movie. Dr. Connors is now in jail, but heroine Gwen has her suspicions that the people at Oscorp are continuing cross-species research for sinister purposes. 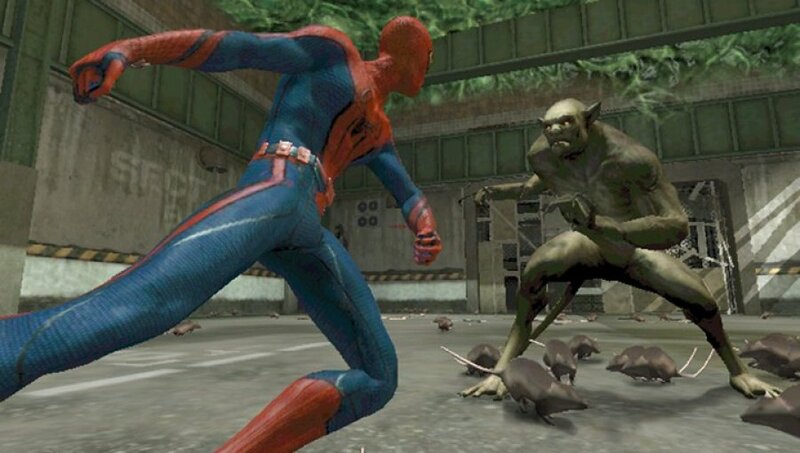 As the intrepid arachnid, you infiltrate the organisation to investigate, only to accidentally release all of the experiments, which unsurprisingly infect New York City with their scaly virus. Racked with guilt, it’s down to you as the web-slinging hero to mop up your blunder – and battle gargantuan robots and hideous creatures in the process. Although this storyline is paper thin and painfully unoriginal (every zombie movie ever, anyone?) it never takes itself too seriously; Spider-Man will barrage you with catchphrases and witty remarks at every opportunity – many of which will force a smile out of even the coldest portable players. This laid back atmosphere is aided by the fantastic voice acting of Sam Riegel, as well as a brilliant adherence to the comic book source material. Such great attention to detail can be a rarity in titles of this ilk, but it’s in abundance here. 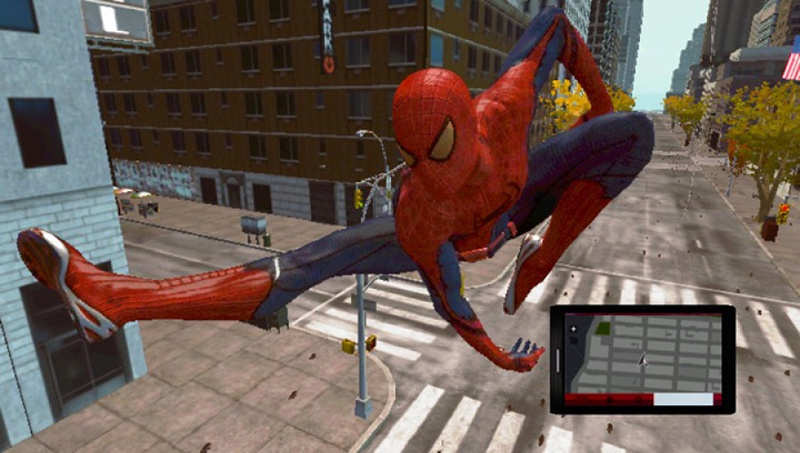 Unfortunately, protagonist Peter Parker faces more problems than freaky lizards in the visuals department, as even for a handheld game the graphics here are pretty poor. All of the environments appear to possess a blurry sheen, which softens the image and will leave you feeling like you’ve got something in your eye that’s affecting your vision. While some of you may be able to overlook this issue, though, the glitches are much more frustrating. For starters, the framerate struggles to keep up with the speedy superhero’s antics, degrading into a jittery mess at times – much like a kid that’s eaten too many sweets. If that wasn’t enough, though, each cut-scene features a character whose face, or at least part of it, has caved in on itself. Sometimes whole cheek sections will show the back of a figure’s head, while at others eyeballs will hang freely, staring ominously at our masked hero like a demonic entity. Last time that we checked, Two-Face was definitely a DC character, and considering the 16 month timeframe that this port has taken to hit Sony’s handheld, it’s hard to really imagine how such a glaring issue slipped through the net. Monstrously warped characters aside, there are some positives in the moment-to-moment gameplay. Travelling between missions is filled with comic book hunting, random encounters, and leaping from enormous buildings. Moving around is simple, thanks to a well-implemented targeting system that projects a hologram of our spandex wearing vigilante into the environment to show you where you’ll land if you opt to swing in the selected direction. This slow-motion mechanic also helps when you’re trying to escape combat encounters, allowing you to avoid nasty falls and infiltrate enemy strongholds as sneakily as, well, a spider. Indeed, the alluded stealth element is just one of your options in combat, allowing you to choose between taking out your targets with all web canisters blazing or skulking through the many ventilation shafts, picking off the thugs one-by-one. Another nifty addition is the Twitter-like updates that feature during the loading screens. These represent status updates and forum chats regarding what you got up to in the previous chapter from the perspective of the Big Apples’ residents. This gives an interesting insight into the city itself, making the world feel more alive. The mobile technology is also expanded to Peter Parker’s smartphone, allowing you to receive emails, updates, and phone calls regarding crimes currently taking place around the city, which you can then solve. However, many of these involve breaking up fights and stopping robberies, and they quickly become repetitive as a consequence, forcing you to just ignore them and leave New York City to fend for itself. While this isn’t exactly a dazzling port, the feeling of swinging around Manhattan without a care in the world is most definitely still present. The storyline’s simple but serviceable, and the arcade-esque combo-based combat works well. Unfortunately, the visuals are incredibly disappointing, and the ghastly glitches during cut-scenes make it difficult to relate to characters that are missing their foreheads. There’s a good game hidden in here, but you may need a bite from a radioactive insect to see through its glaring flaws. A bit disappointing. I mean, the visual issues are expected considering it's been ported from the PS3 version, but it's a shame they couldn't get it running smoothly. Nevertheless, I do think this is a game that would work well on a handheld, so I'm sort of still tempted. It's way too expensive, though. The ps3 version was pretty good. Can see where this would struggle, though. 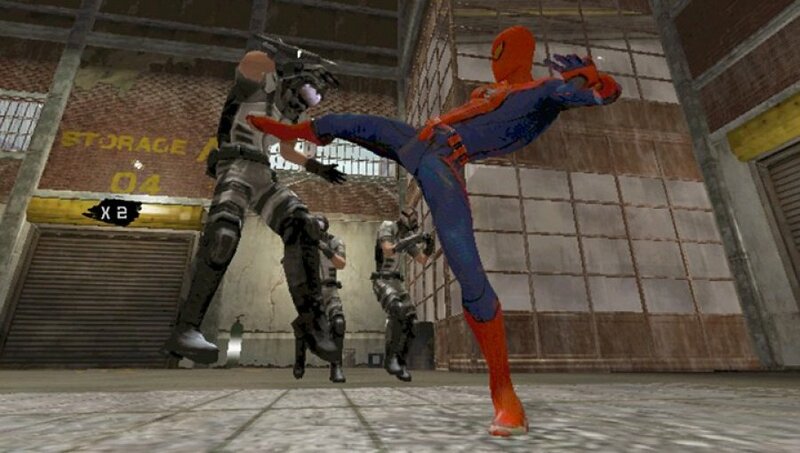 Only saw gameplay videos, but I think I'd still rather play the PS1 Spider-Man game. That one was actually amazing. The game looks like a PSP launch title but I in the end it plays sort of identical to the PS3 version. I though that, before the launch of Vita, we were told that the device could handle PS3 games, yet there in titles that this doesn't happen. @belmont I think it can look as good as the PS3 if the game's developed specifically for it (Killzone: Mercenary) - but clearly you can't just port PS3 code across and expect it to run. I'm not all about the graphics but I also think it's crazy to act like they don't matter at all and this game looks unacceptably bad in that category given what Vita is capable of. Brand new hulk smash em up game would be better. Another poor hand me down.